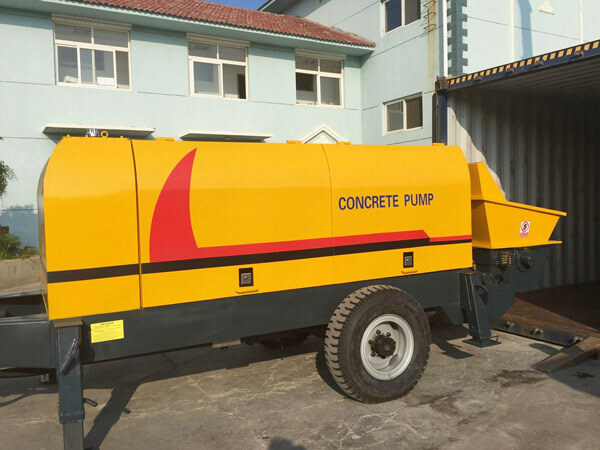 Concrete trailer pump for sale emerges as the times require, which is a helpful concrete conveying tool for numerous construction sites. Trailer concrete pump overcomes the pumping difficulty of traditional methods, and it replaces traditional human conveying at most, which often takes longer time and more costs. Comparatively, concrete trailer pumps for sale becomes more and more popular for its good pumping performance and high conveying efficiency. Concrete trailer pump basically consists of the pumping tank, conveying pipelines and a trailer unit, and the pumping capacity of concrete pump trailer varies with different capacities of pumping tank. Generally speaking, concrete is transported by a mixer truck to the needed sites at first, and then concrete is poured into the pumping tank of trailer mounted concrete pump. Under the function of pressures, concrete is delivered to high places through the pipelines of trailer mounted concrete pumps. 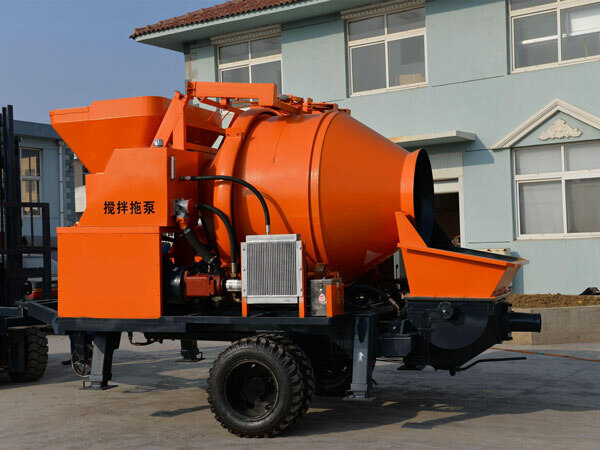 The whole pumping process of trailer concrete pumps and concrete mixer and pump is totally continuous and reliable, and it ensures the quality of the projects under construction. What are the models of Aimix trailer concrete pumps for sale? Lots of customers have sent us inquiry about the main models of our concrete trailer pumps at times, and HBT series concrete trailer pump for sale is the basic type of our company. 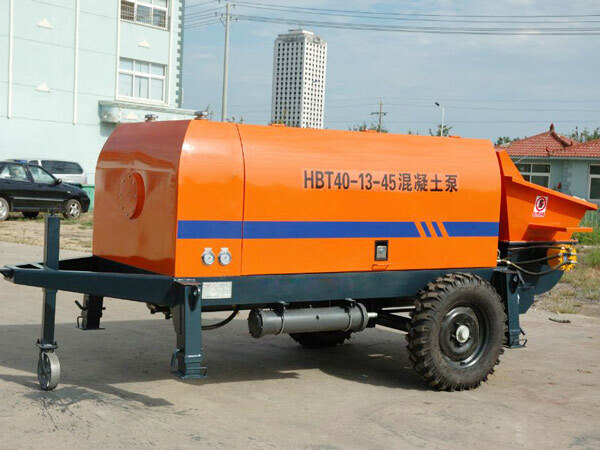 HBT trailer concrete pump for sale is also divided into HBT20-50 small concrete pump and HBT60-90 large concrete pump trailer for sale. What are the features of Aimix trailer pumps for sale? 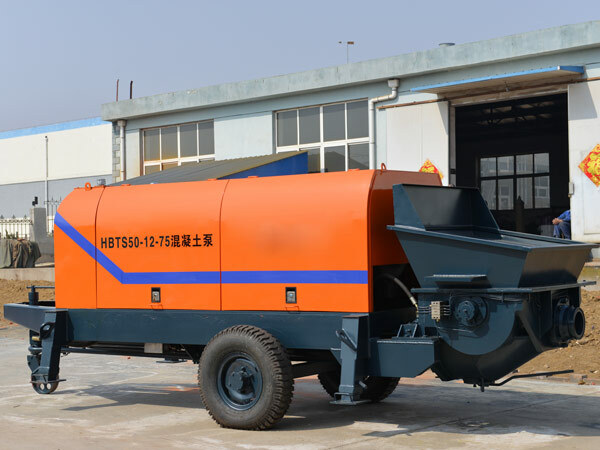 First, users may select diesel or electric concrete trailer pumps freely with the combination of the practical situation of their sites, which is totally considerate and beneficial. Second, the key parts of our trailer pump for sale adopts world famous brands, which has higher reliability, safe working and long service life. Then, our trailer concrete pump with boom can be trailered to any needed places, which is very convenient for many users. At last, we offer professional installation and operation guidance for our customers, and the concrete pump on trailer can be easily installed in a short time. Need A Quotation for trailer concrete pump? Please deliver your inquiry through E-mail or clicking our website, and the given quotation will be quickly sent to you. So, why not try our small trailer concrete pump for sale? Aimix Group promise to offer best quality concrete trailer pump for sale and concrete mixer and pump with affordable price, which is totally reasonable than the price provided by other concrete trailer pump manufacturers. Try us now!